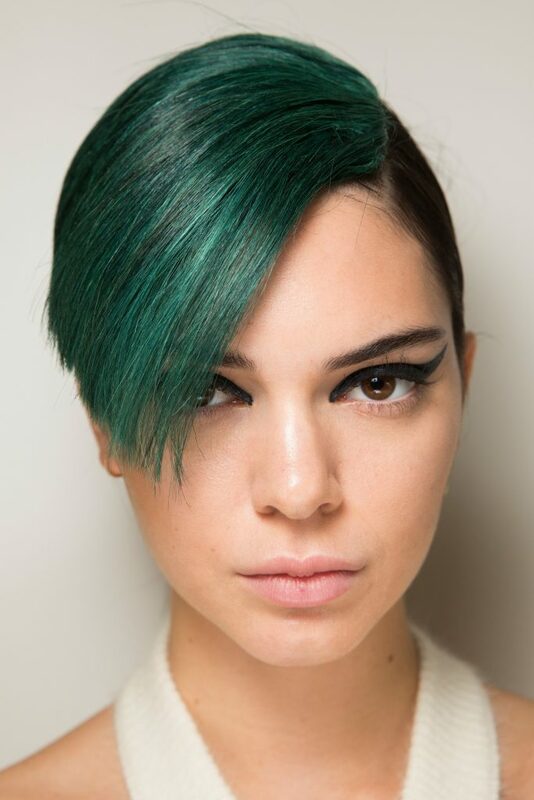 Some of the hair trends featured on the runway for Spring 2018. 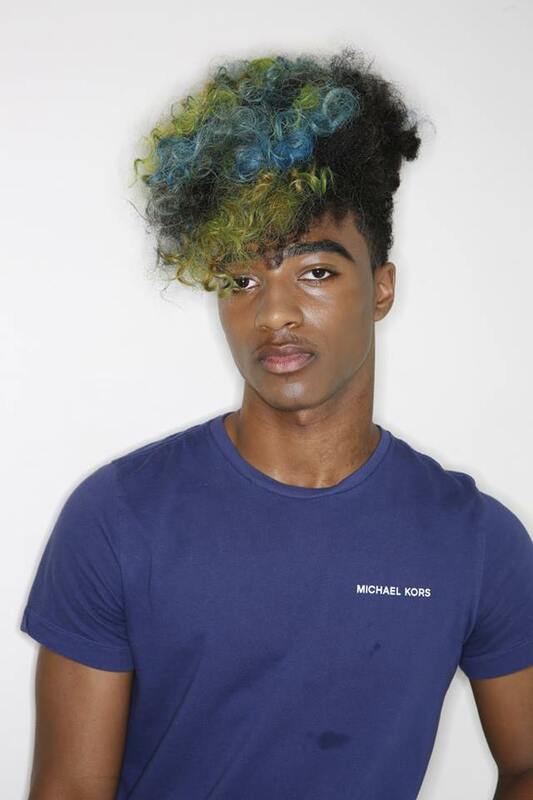 FASHION SIZZLE MENS : Marcello Costa had a vision for Unisex hair for the male models at the Fashion Sizzle NYFWM show. 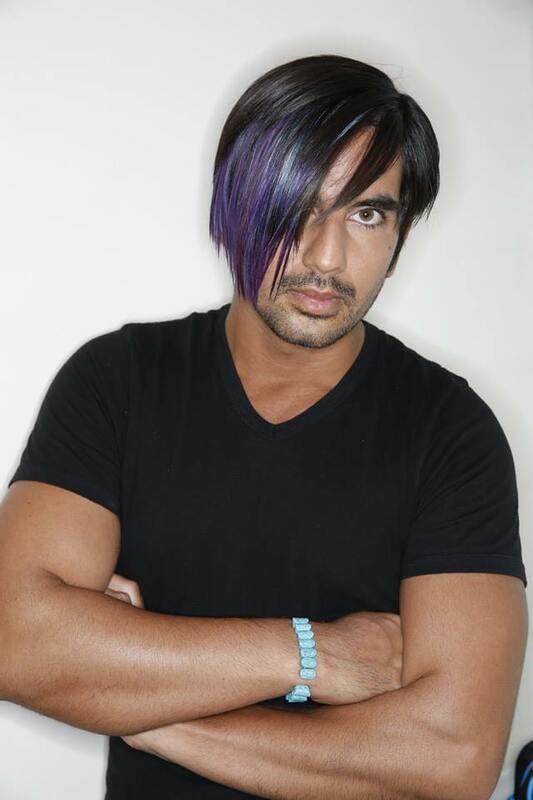 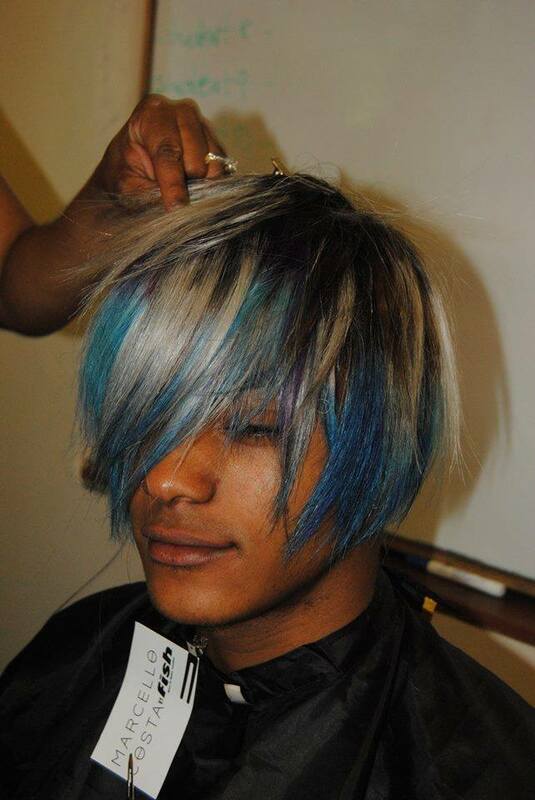 Costa and team added weave to male models hair and then the hair was colored and highlighted . 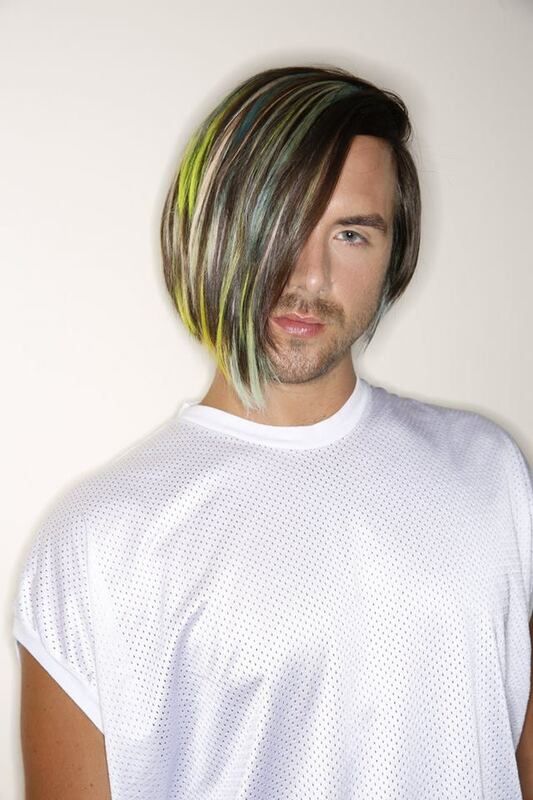 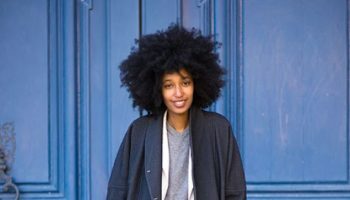 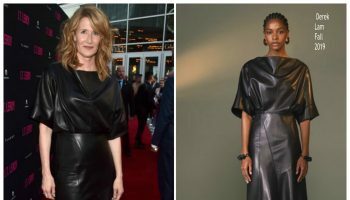 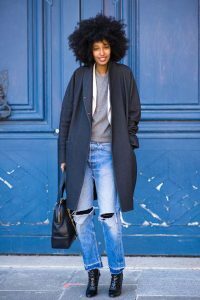 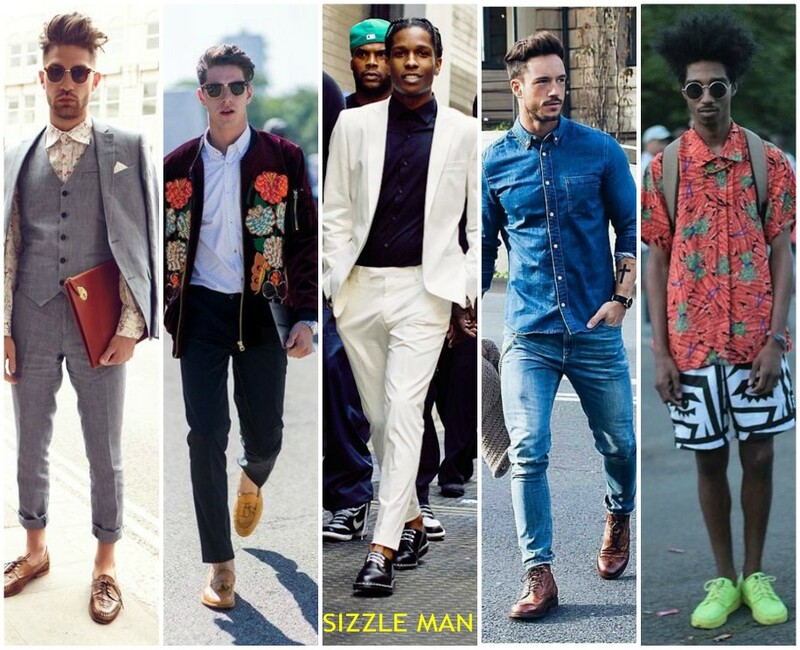 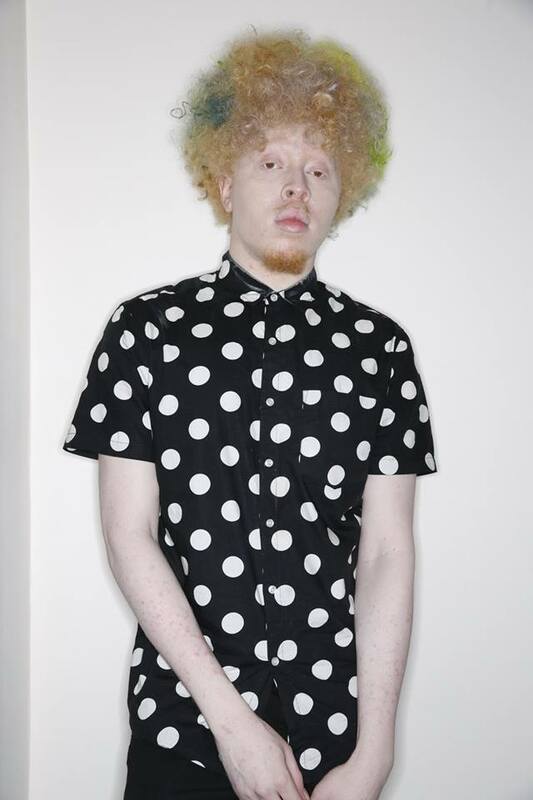 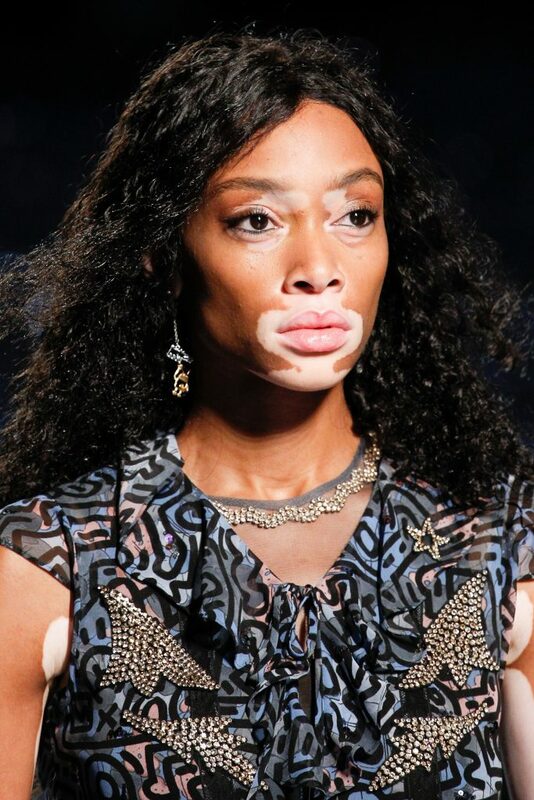 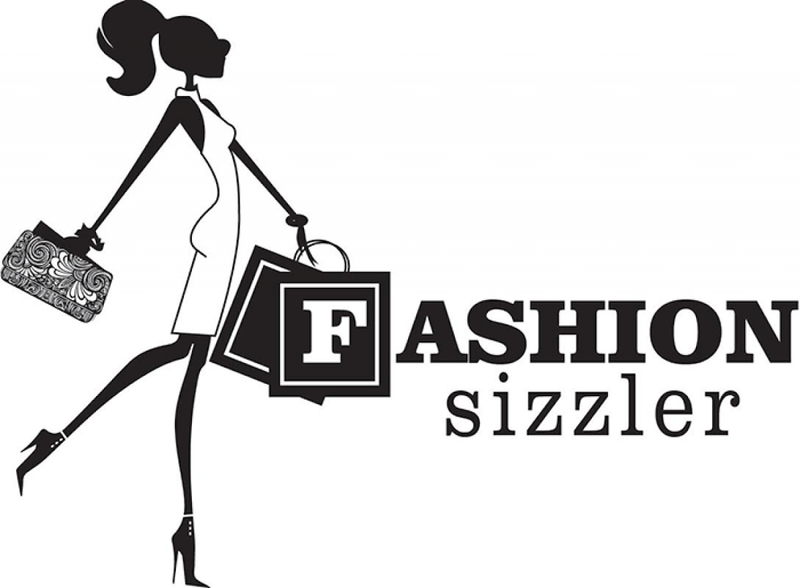 Costa expresses ” that border where women have to wear certain colors and men have to wear certain colors its combined to create a very unique look”. 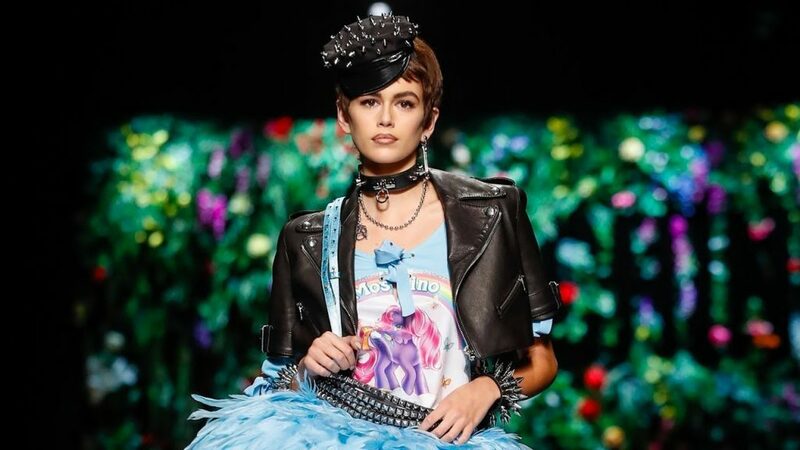 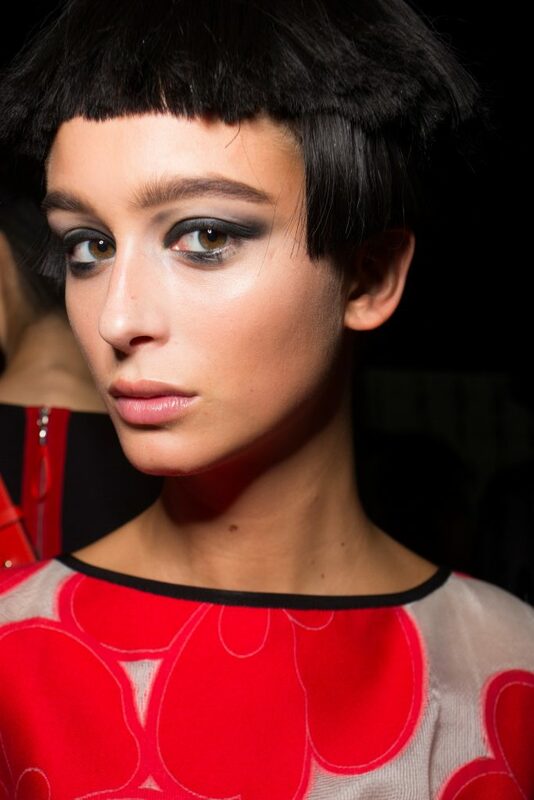 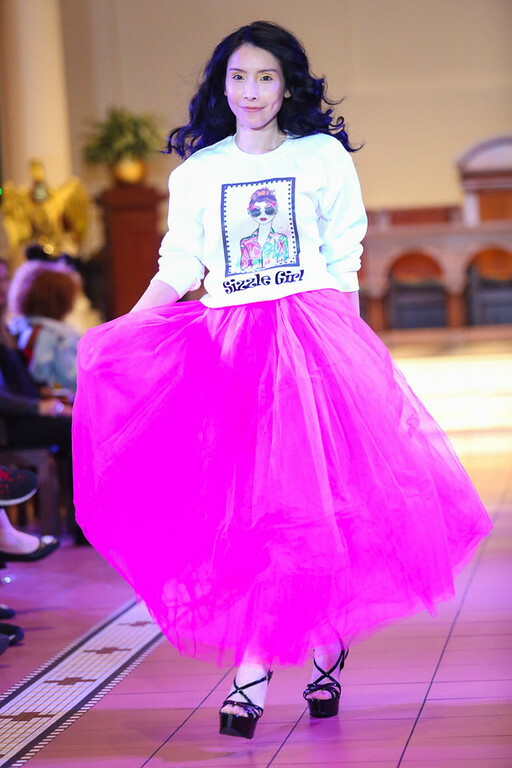 Moschino models rocked very short pixie styled haircuts and wigs which featured choppy bangs. 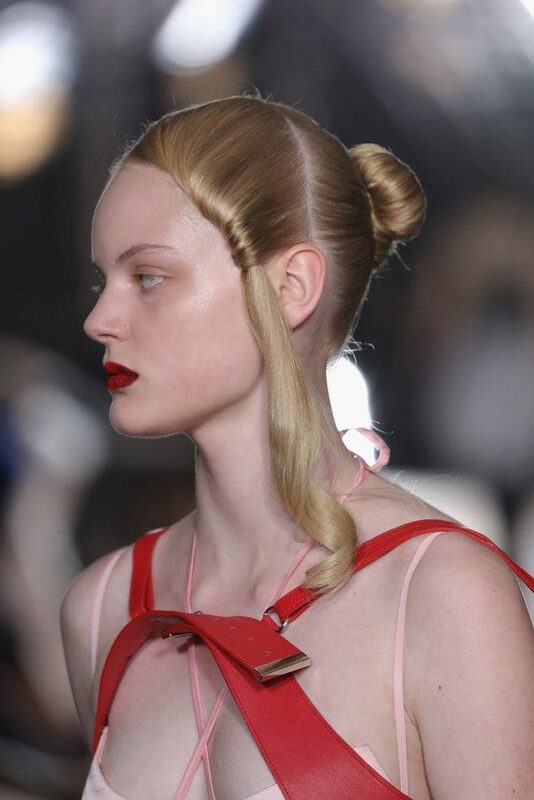 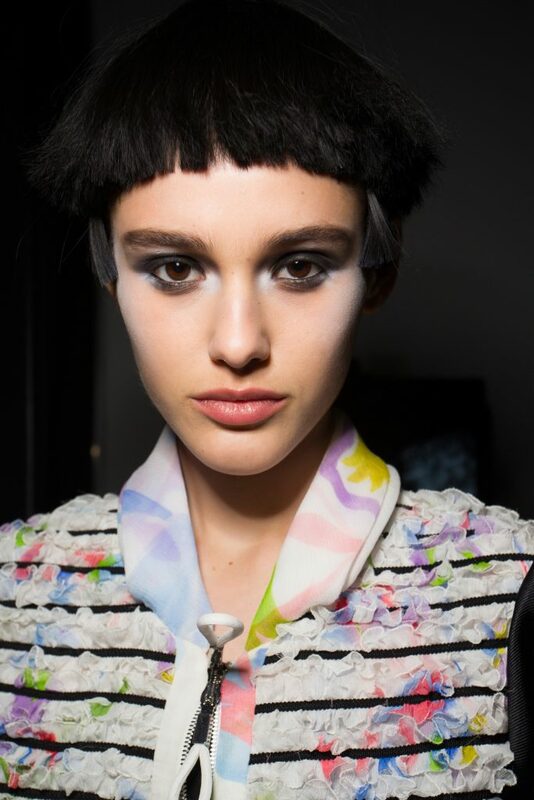 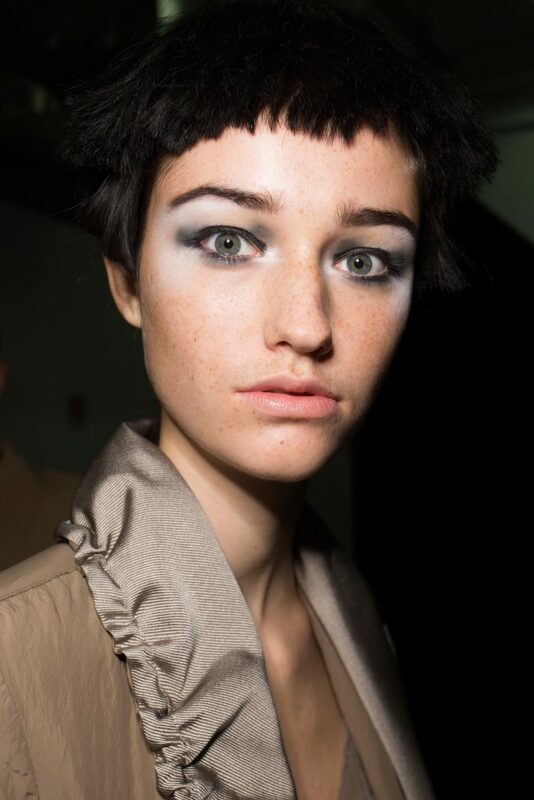 PRADA: The hairstyle by Guido Palau was inspired by the boyish idea of a woman, ponytails with bangs falling out. 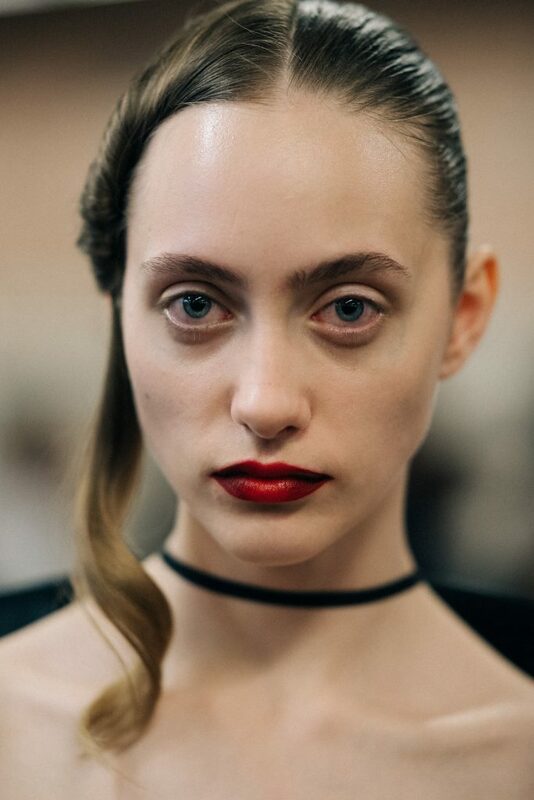 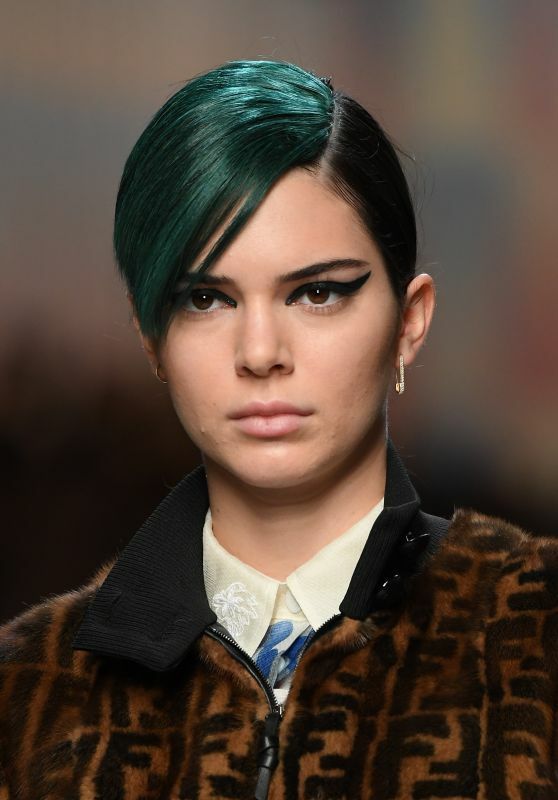 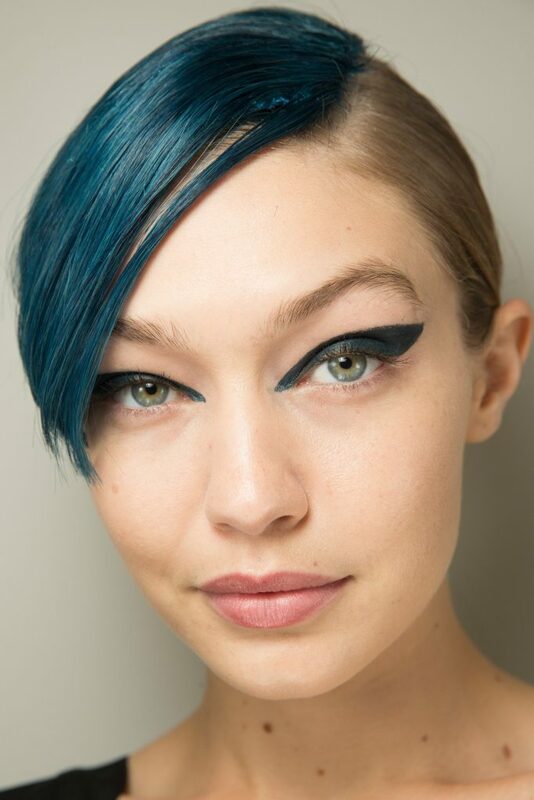 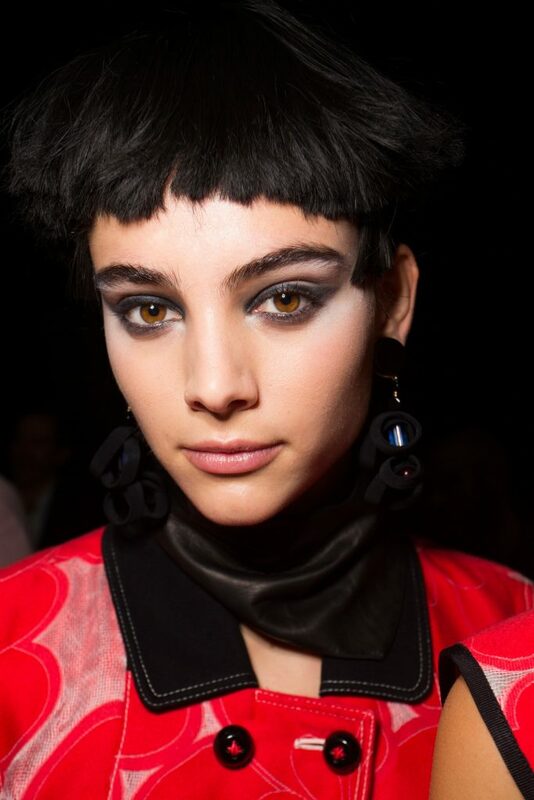 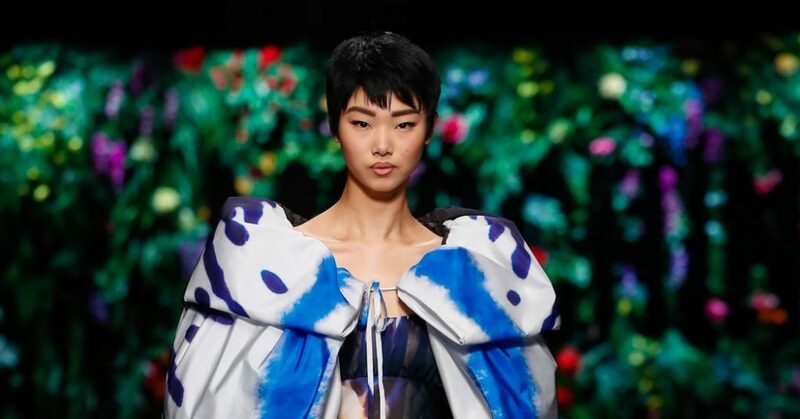 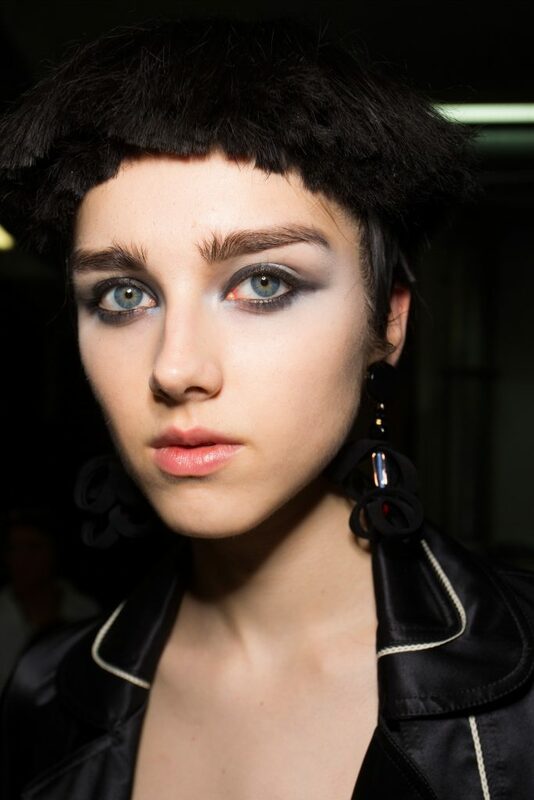 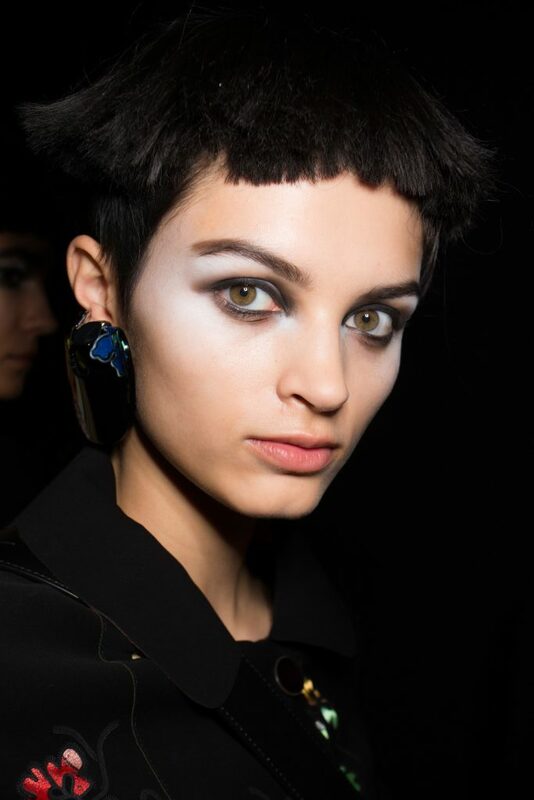 Along with Pat McGrath makeup some models had shorter boyish hair along with others who had soft ponytails. .
GIORGIO ARMANI : Models wore jagged above the ear pageboy wigs. 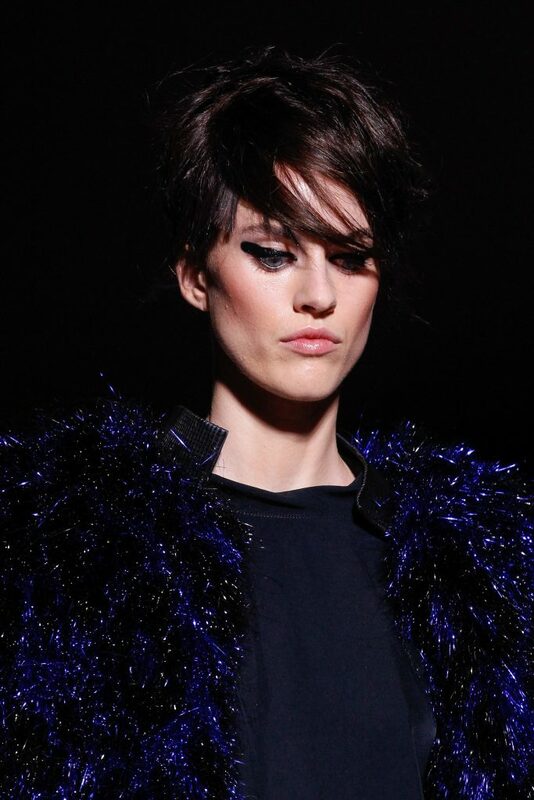 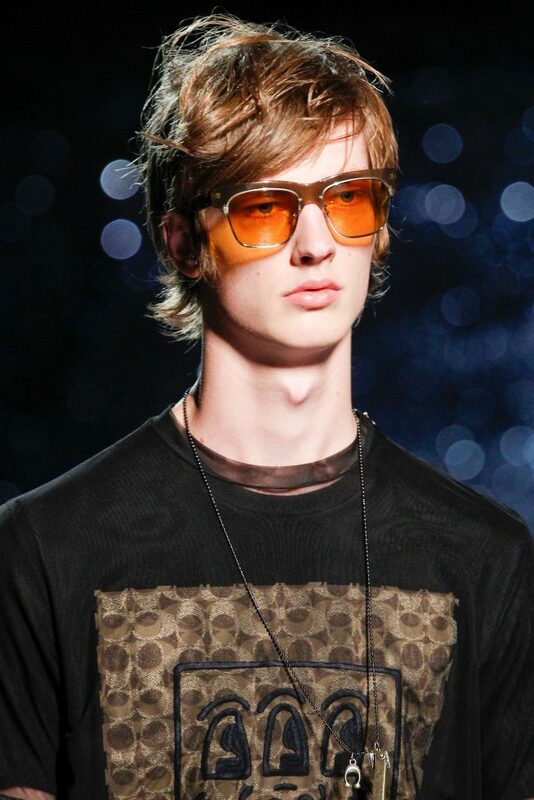 TOM FORD : Models wore wigs that wore short on the side s and in the back along with being longer on top. 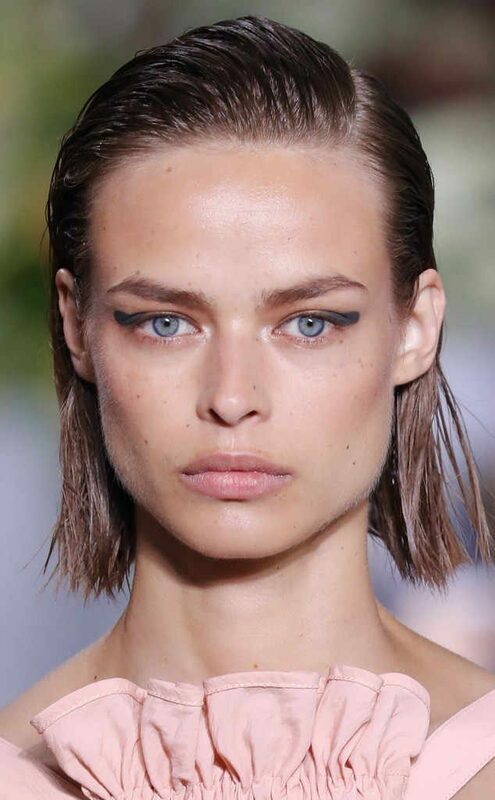 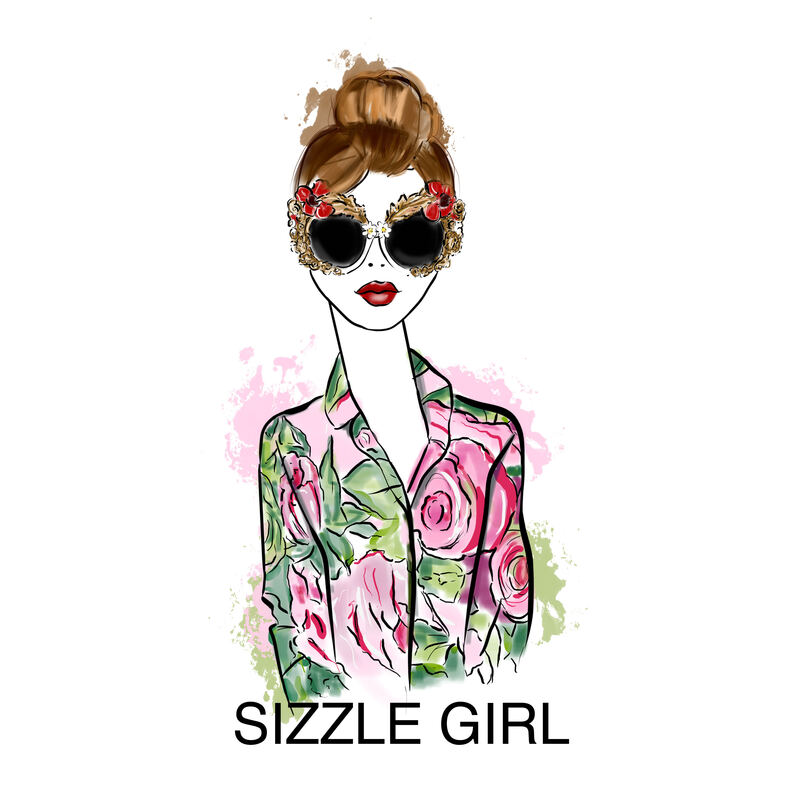 Hairstylist Orlando Pta did not want the hair to be a distractor , because Tom Ford Spring 2018 Collection featured designs with sharp shoulders and crisp Silhoulettes. 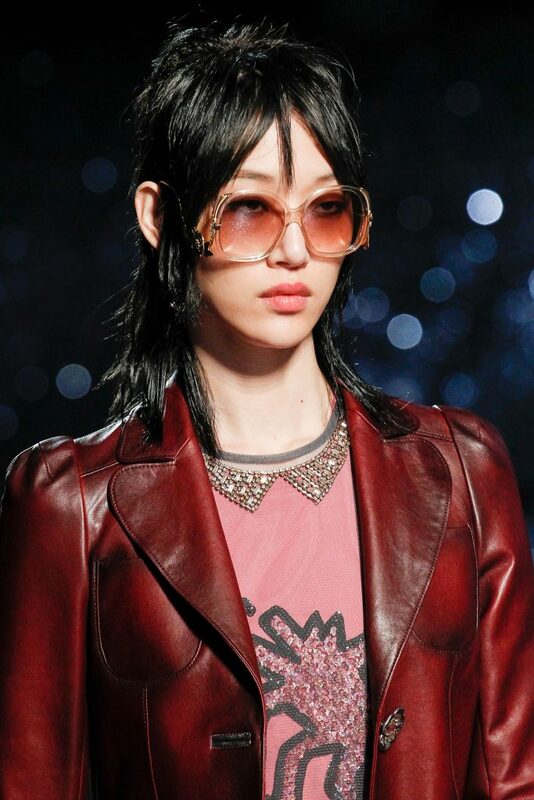 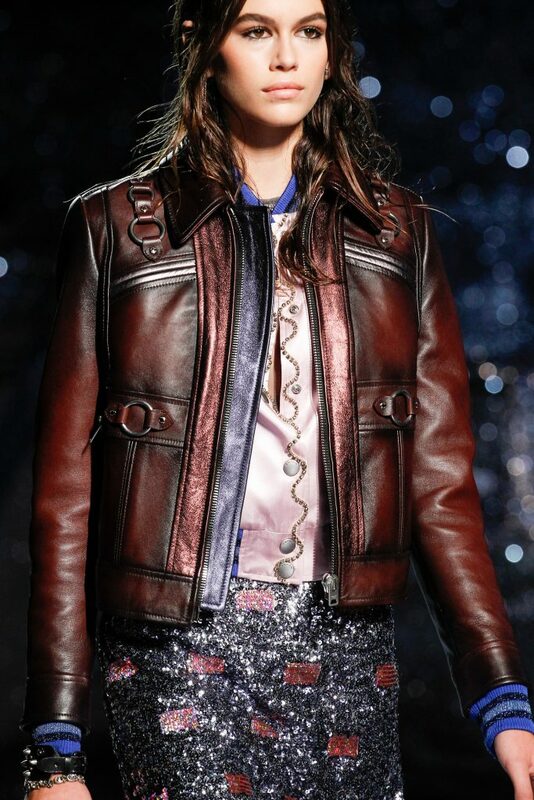 COACH: Coach Spring 2018 Hair looks included a grunge along with a 1970’s rock and roll vibe. 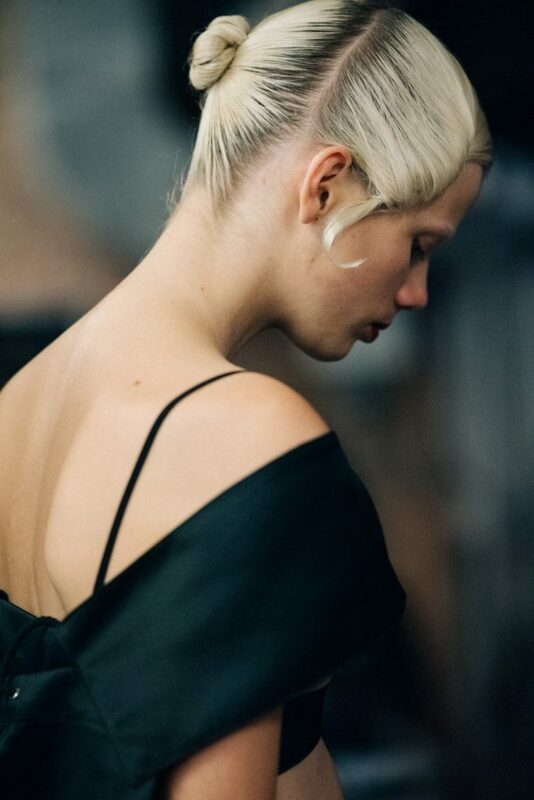 HELMUT LANG : Hairstylist Holli Smith had models wear a center parted hairstyle with side curls and a twisted bun. 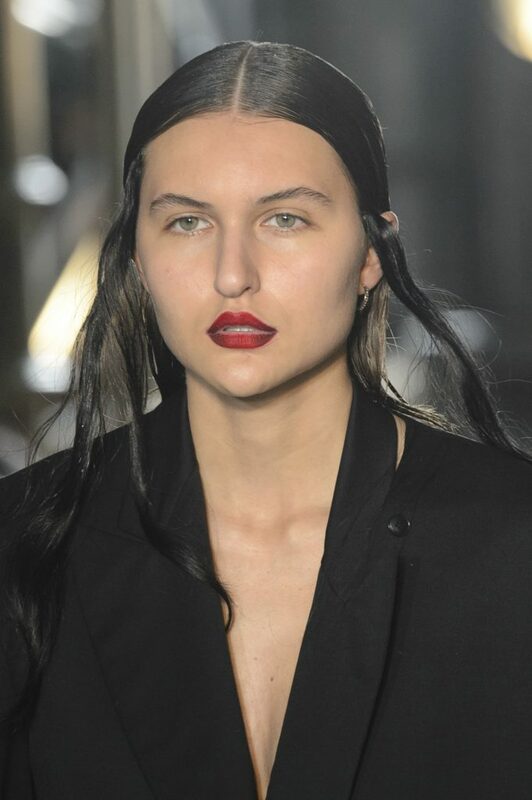 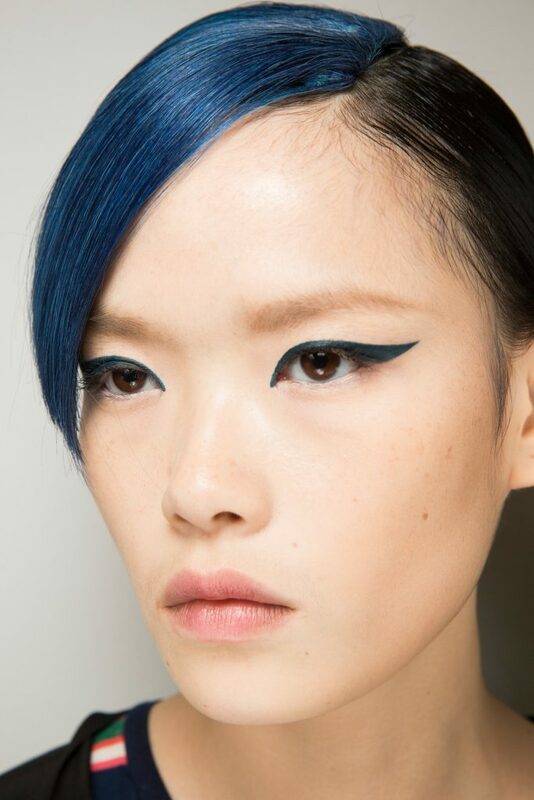 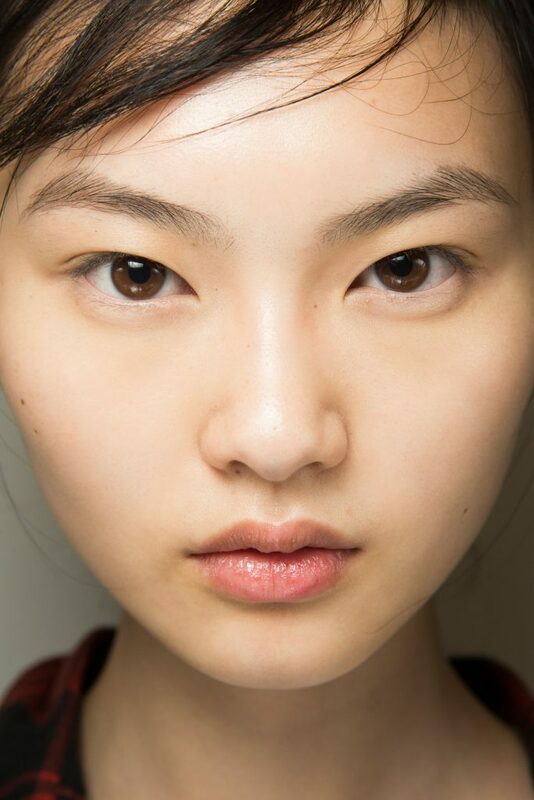 JASON WU : Models wore Side-parted, slicked-back waves and smudgy cat eyes.